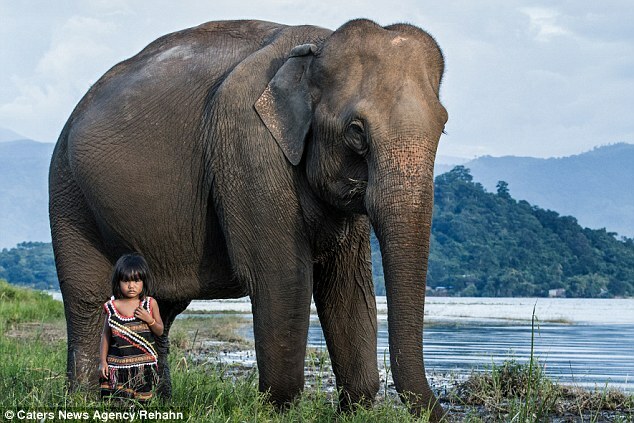 These are the remarkable pictures of a young girl who tamed a fully grown wild elephant. 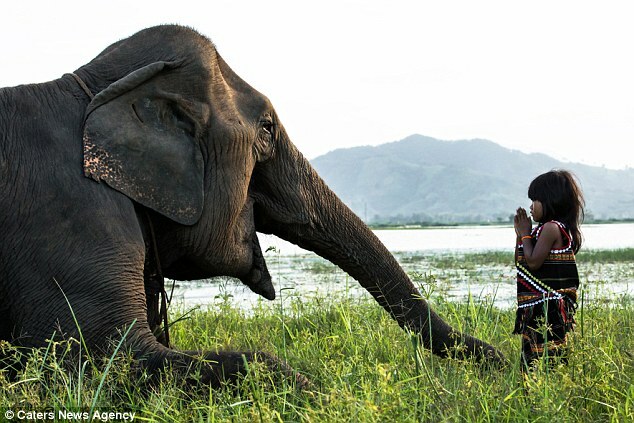 Kim Luan, who is part of the M’Nong ethnic group from central Vietnam, has now become inseparable from her pet elephant and the two are best friends. It is common in the M’Nong society to tame wild elephants before introducing them to the community and keeping them as domestic pets.The elephants are then used to work with the villagers in the fields, transporting goods and helping them build houses. The pair are at total ease with each other and the gentle jumbo happily lets her play around it. 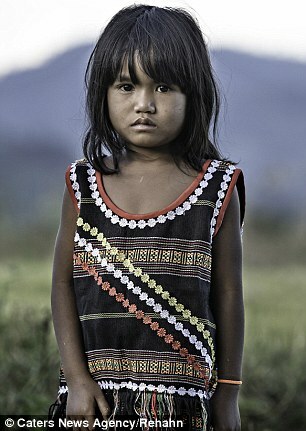 French photographer Rehahn, 35, captured the heart-warming scene in Buon M’Lieng earlier this month. 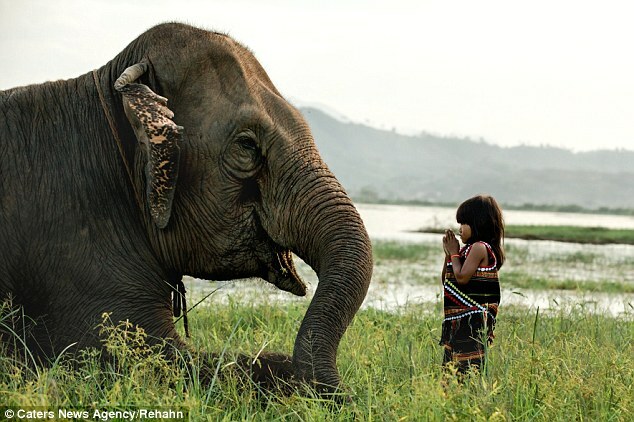 He said: ‘Elephants are considered members of the community – everything related to them must follow M’Nong traditions. ‘As a foreigner I was very surprised to see this bond but for the M’Nong minority group it’s common to have an elephant in the garden – just like we might have a cat. The photographer has lived in Vietnam for seven years, capturing some 45,000 photos of the country. But this is the first time he has witnessed such interaction between M’Nong and their elephants. He added: ‘It’s not dangerous for her – the elephants are peaceful until you try to do wrong with them. ‘But M’Nong live in nature with elephants and know how to keep them quiet. This entry was posted in Blog and tagged airport taxi, airport transfer, best hostel vietnam, bus sapa, central Vietnam, cheap backpacker hostel, elephant, halong bay tour, M'Nong ethnic group, sapa tour, traditional costume, vietnam backpackers hostel, vietnam hostel, visa extension, visa on arrival.